Protesting the high number of needles on our streets! 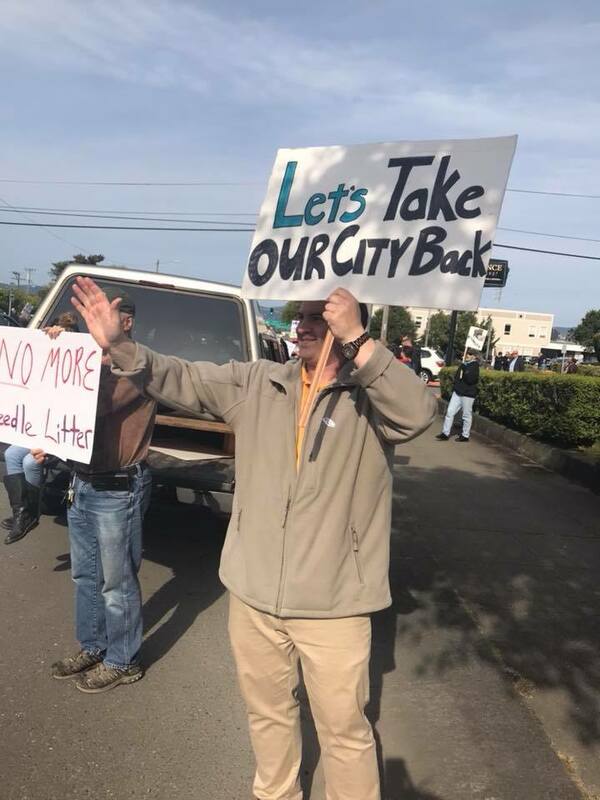 On June 5th, 2018, the community action group--Take Back Eureka--took to the streets, protesting the high number of needles on Eureka streets. The group correctly highlighted the city's disastrous needle exchange programs. I joined the event, holding a sign and sharing some positive messages with passing drivers during Eureka's rush hour. As of now, the leading solution for reforming controversial needle-exchange groups like HACHR is implementing a "1 for 1 or none." While that is a good start, I have some additional ideas for protecting Eureka's general health and environment. The event was well attended, and I made some new friends along the way. Not a bad time!